It’s not just our evening routine that enables us to slowly drift off, how we design our surroundings has a huge impact on the quality of sleep we have. Counting sheep won’t help if the aesthetics of your bedroom are working against you, so here’s how to create a calming atmosphere that will ease your mind and have you walking on the clouds. 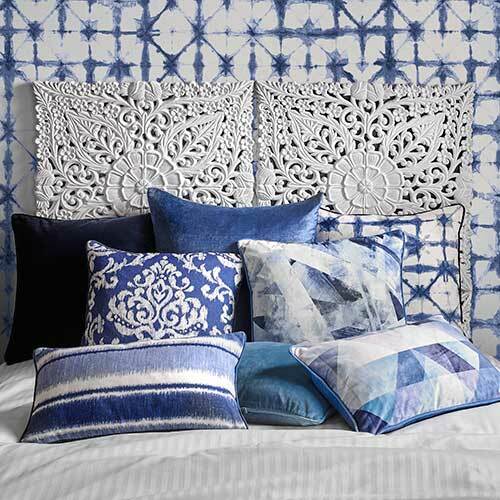 A study by hotel chain Travelodge has found that blue is the best colour to adorn your walls for a lengthy night’s sleep. In a survey of 2,000 people, they found that those sleeping in blue-toned rooms had an average of 7 hours and 52 minutes sleep a night. This could be down to the fact that we often class blue as a calming colour that soothes the soul. It is not often used on caution or warning signs (which are generally red and yellow), and it often reminds us of more natural sights such as the sky and sea. 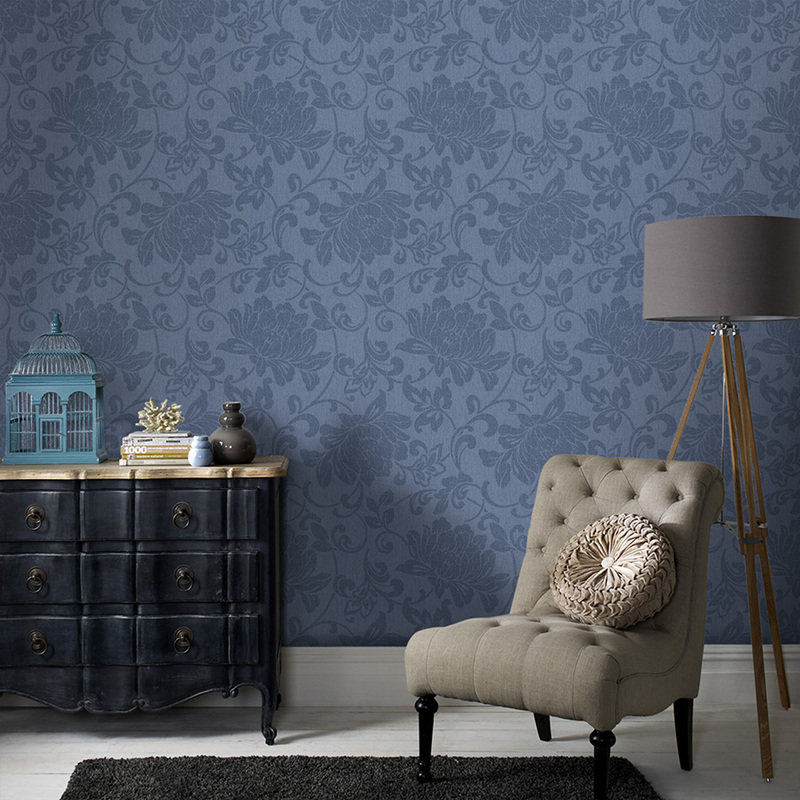 In particular, a dark shade like our Jacquard Denim wallpaper pictured above could also help those who have disruptive sleep, as the deeper colour helps to tone down any light which may wake you up during sleep. 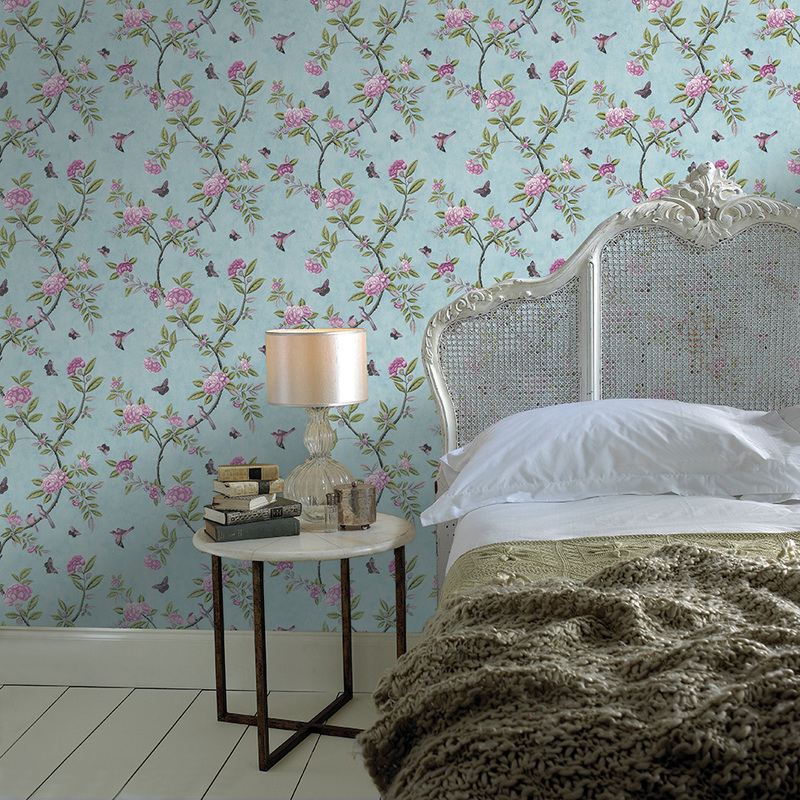 The gentle florals add texture and layers that make you feel as if you could fall beneath the fauna. 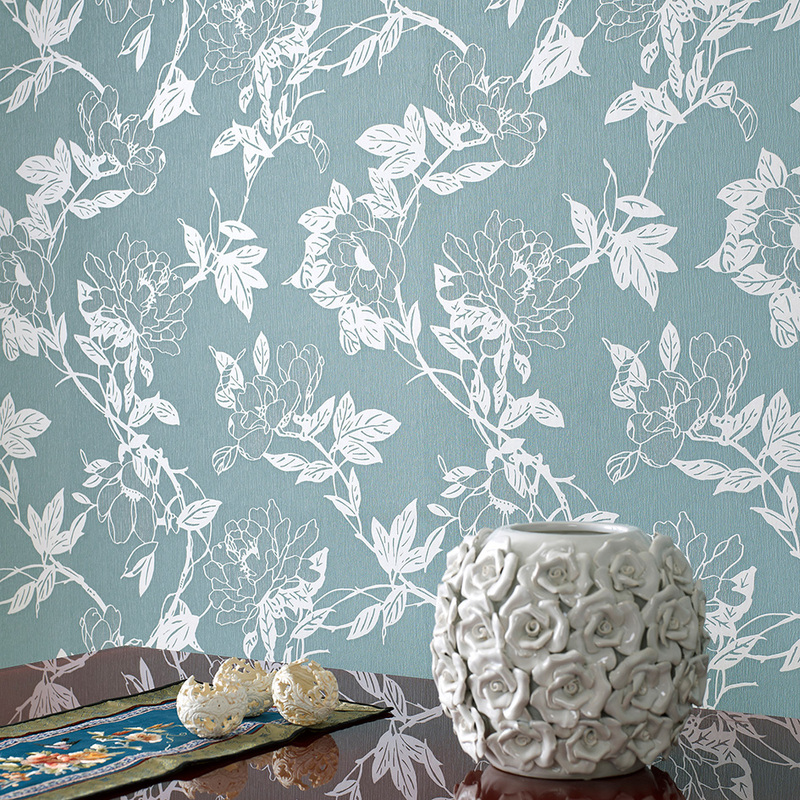 For a lighter alternative, our Jiao Blue wallpaper displays a gorgeous sky blue tone. Keeping this calming colour as the main shade helps it maintain its sleep-inducing properties and create a relaxed atmosphere in your room. Interestingly, the Travelodge study also found that many people sleeping in a blue room generally woke up feeling happy - 58% of those asked to be precise. 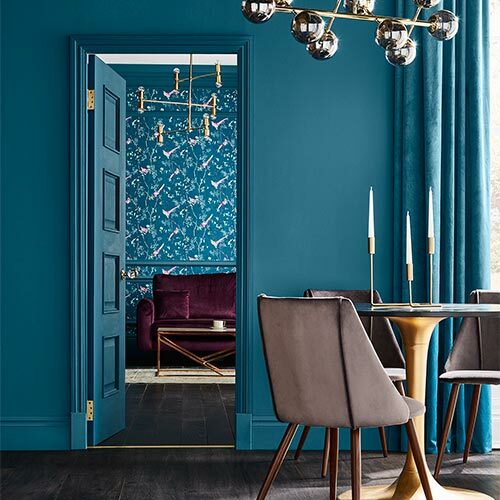 This could again be down to the calming colour theme that eases you back to consciousness in the morning, or simply down to the fact you’ll be getting a better night’s sleep. Similarly, those sleeping in a green room also reported waking up to an ‘upbeat’ feeling. Despite this, the colour still lost out in the sleep tracking stakes, with the average time of sleep being 7 hours and 36 minutes. However, this is still an impressive amount of sleep and a beautiful colour to adorn your walls with to boot. 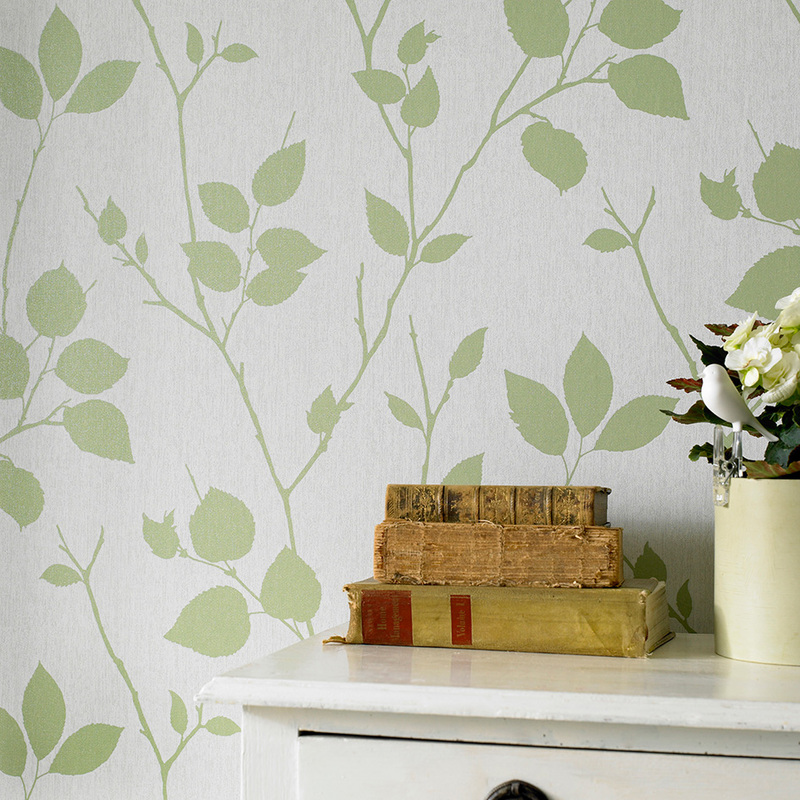 Our gorgeous Virtue Pear wallpaper adds just a hint of green to your room to welcome in Mother Nature and the outdoors. This natural theme is bound to enhance your sleep as your eyes aren’t distracted by intense patterns. Taking you back to your roots, the vines that dance along your walls will carry you off to sleep in no time. Our Chinoiserie Duck Egg mixes the best-performing colours for a foolproof way to ease you off to sleep. Each colourful bird that flutters along the wall catches the eye, but easily blends into the darkness when it’s time to switch off for bed. Featuring minimal purple shades, this wallpaper uses the deeper colour sparingly, which is probably for the best as purple performed the worst in sleep tracking times. Whilst we may think of this colour as the ultimate in luxury, purple has been accused of causing distress during the night and even nightmares. Of course, the little additions to this design won’t make much difference, but we’d suggest keeping purple wallpaper out of the bedroom! 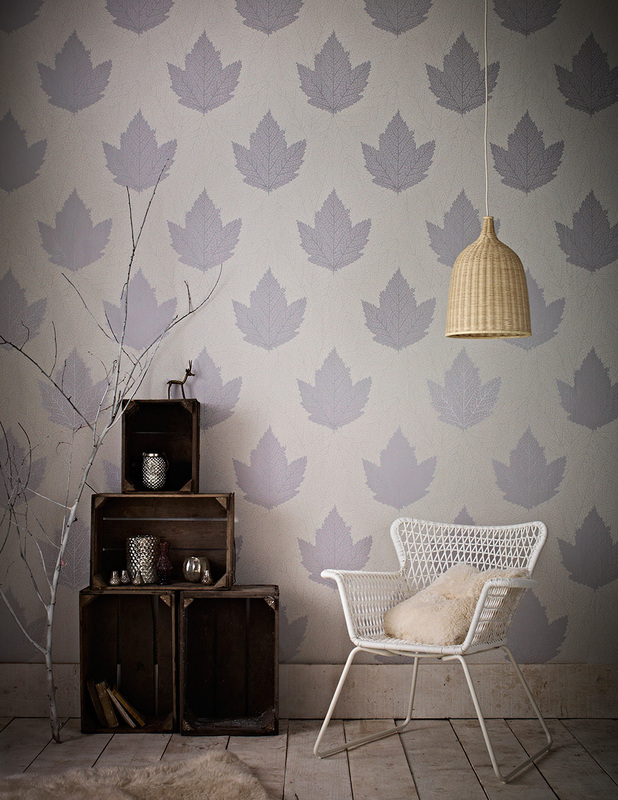 While it’s not the best idea to have deep purples in your bedroom, nobody could deny this stunning Maple motif wallpaper featuring dusky grey and lavender embodies softer tones to curl up and sleep in. 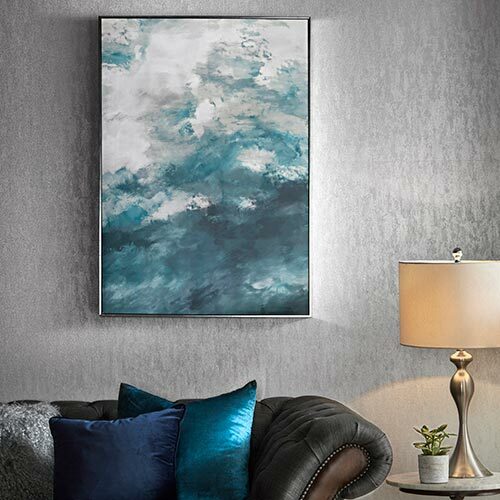 Although this features a little bit of purple, the gentle glimmer of silver foil and grey background combine nicely to create a serene ambience in your room. 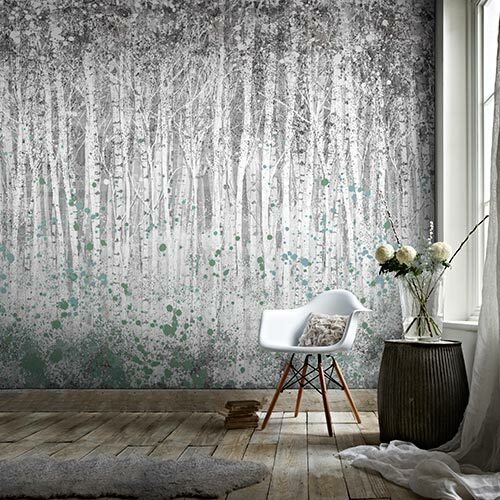 Let this stunning foliage cover your walls and create the perfect setting for you to relax and unwind in after a hard day at work.